Peace, prosperity, and happiness are the rule in the marvelous Land of Oz, but in a faraway corner of this magical domain dwell two tribes--the Flatheads and the Skeezers--who have declared war on each other. Determined to keep her subjects from fighting, the Ruler of Oz, Princess Ozma, along with her dearest friend, Princess Dorothy Gale (formerly of Kansas), embarks on a quest to restore peace.When the Supreme Dictator of the Flatheads refuses to cooperate with Ozma, she and Dorothy seek out Queen Coo-ee-oh of the Skeezers, hoping she will be more reasonable. But the queen imprisons Ozma and Dorothy in her grand city and then traps them by submerging the whole city under water. Now it is up to Glinda the Good to save the day. 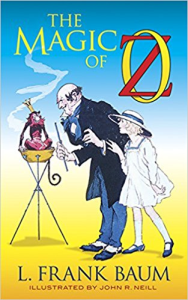 She assembles all of Ozma's counsellors--including such beloved Oz friends as the Scarecrow, Tin Woodman, Cowardly Lion, Patchwork Girl, Shaggy Man, Tik-Tok, and Wizard of Oz--and they set out to rescue their friends. Will the magic powers of Glinda and the Wizard combined be enough to free Ozma and Dorothy? 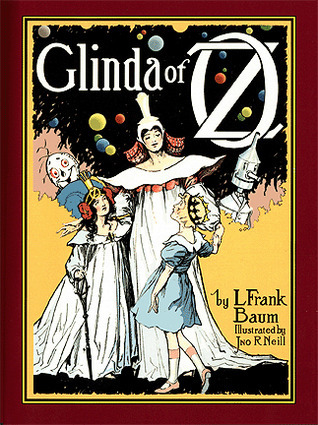 A rousing tale of suspense, magic, and adventure, Glinda of Oz is the fourteenth and final Oz book by L. Frank Baum. 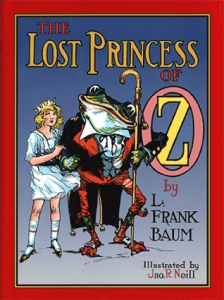 It's a grand conclusion to his chronicles of America's favorite fairyland. This deluxe gift edition features all twelve of Oz artist John R. Neill's beautiful color plates, along with his nearly one hundred black-and-white pictures, making it a perfect gift for all Oz fans, new and old.